The Books app on your iPhone is a great way to acquire, store, and search through your downloaded eBooks and other compatible files. But you may find that your search results are difficult to navigate, or even confusing, due to the presence of search results that display options from the Book Store. 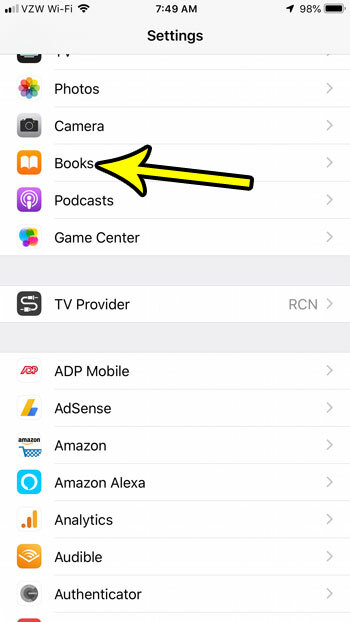 if you would prefer that the Books app only show search results for items that are in your library, then you can change the search setting to start omitting results from the Book Store. Our tutorial below will show you where to find and change this setting so that you don’t need to view search results for items that you don’t own. The steps in this article were performed on an iPhone 7 Plus in iOS 12.1. 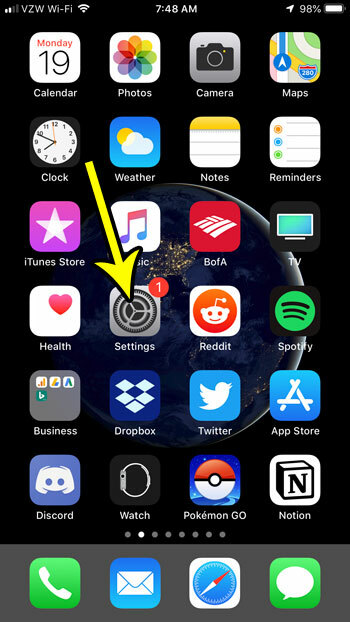 By changing the setting in this guide you will be removing search results for the Book Store when you perform a search within the Books app on your iPhone. This will not change search settings for anything else on your device. Step 2: Scroll down and select the Books option. 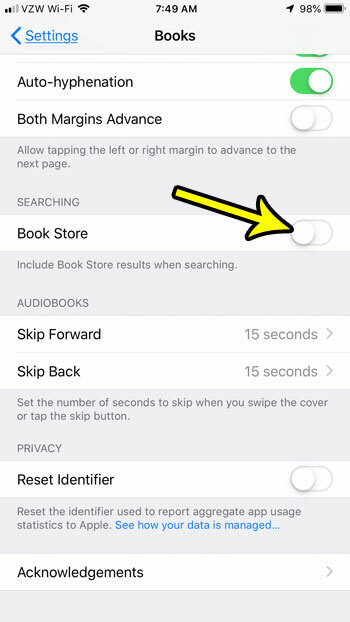 Step 3: Scroll down to the Searching section of the menu and tap the button to the right of Book Store to remove those results from search in the Books app. Note that you can re-enable this in the future by changing this setting back, or by tapping option to allow Book Store search when using the search feature within the app. When you start downloading a lot of apps and files on your iPhone it’s inevitable that you will eventually run out of space. Find out about some things you can delete to help increase the amount of available space on your iPhone.